Lining up: Several companies are planning manufacturing facilities in Haridwar to take advantage of incentives being extended by the state. 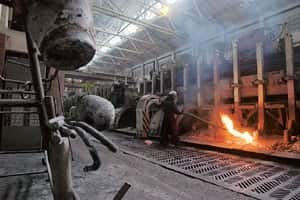 Hindustan Zinc Ltd, a unit of Vedanta Resources Plc., plans to set up a 365,000-tonne unit in Uttarakhand to produce zinc ingots and galvanized grade alloys for the automobile and telecommunications tower sectors in a state that provides significant tax incentives for new factories. Some 385,000 tonnes of zinc cathodes—which is made in a three-step process beginning with zinc ore—will be transported from its Rajasthan plant. The plant is proposed at an industrial estate in Haridwar, some 55km from state capital Dehradun, said Sushil Sharma, assistant general manager of the State Infrastructure and Industrial Development Corporation of Uttaranchal (Sidcul). Several companies, including Hindustan Unilever Ltd, Mahindra & Mahindra Ltd and ITC Ltd also have planned manufacturing facilities in Haridwar to avail of a 10-year tax benefit. Sterlite Optical Technologies Ltd, another arm of the Vedanta group, has invested Rs1,100 crore to set up a 115,000 tonnes a year facility for power transmission conductors and telecommunication cables. Sterlite acquired 25 acres of land in the estate, of which about 13 acres has been earmarked for Hindustan Zinc Ltd’s planned unit, said Sharma. Fuelled by commodities demand, Hindustan Zinc posted a net profit of Rs4,442 crore last year, and is undertaking a major expansion of its Rajasthan plants. The company is increasing zinc ingots capacity from 411,000 tonnes to 671,000 tonnes by 2008. The Indian government began divesting Hindustan Zinc in 2002. “This move will add volume to the company’s growth as it has a reserve of billion dollar in cash," said Prasad Baji, senior vice-president of Edelweiss Capital Ltd. “Under the terms and agreement with the government, the company cannot use the money other than growth for the company." Sidcul offers a 100% tax holiday on central excise for 10 years and five years exemption from income tax. Large companies that are setting up plants will have to pay 30% income tax from the start of the fifth year, while small companies will have to pay 25% for the same period until the end of the term.